Lock in a great price for Babosas Village - rated 9.6 by recent guests. Everything. 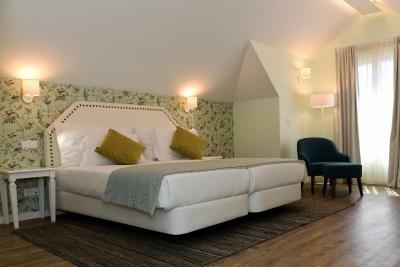 The room was modern, spacious, had a comfortable bed, a great shower and was very clean. The meals that we did eat in the restaurant were excellent and we think were good value for money. 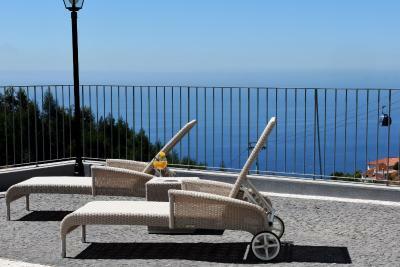 We liked the location, but some people may not realize how far Funchal center is from the property. 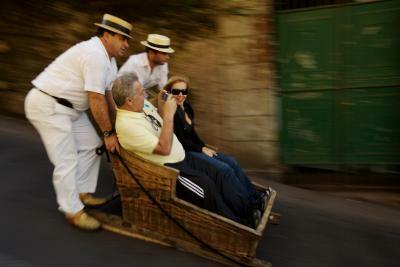 That said the bus journeys up and down the hill into Funchal are not to be missed. Finally, a mention about ever single member of staff that we met during our week long stay, They really were the most friendly, helpful (nothing was too much trouble) group of people that we have ever met in any of the hotels/apartments that we have ever stayed in. Excellent breakfast, fresh bread, eggs after your choice, fruits and yogurt. Staff is none plus ultra, so great service. Placement of hotel is stunning, with a great view over Funchal and surrounding. The staff were friendly, very capable, and couldn't have been more helpful. We enjoyed the few meals we had in the restaurant - the octopus was very good. We give Babosas Village this high rating because of the following. 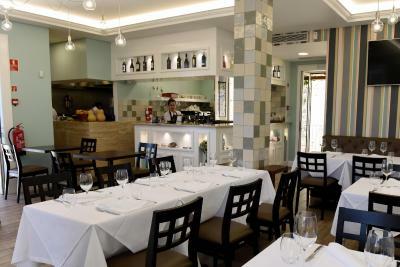 All the staff, Ricardo, Hugo, Andre, Sonia, the lovely cleaning woman and all the kitchen staff are SUPERB! They are true professionals and work very well together. Anyone would be happy to have such a great team working for them. The meals that we had in the restaurant were wonderful, both professionally prepared and presented. 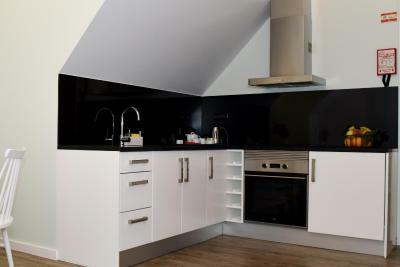 We decided to book a superior apartment, which was very modern and spacious and spotlessly clean. One of the best places I have ever stayed in. Clean, modern, comfortable apartments. Nice location with good views. Good breakfast sitting on the terrace in the morning sun. Very friendly and helpful staff. Nice restaurant. Plenty of private, off-street parking. The bed was really comfortable. The apartment was a minty green colour which was really nice. The paintings on the wall were pretty. It was really spacious. 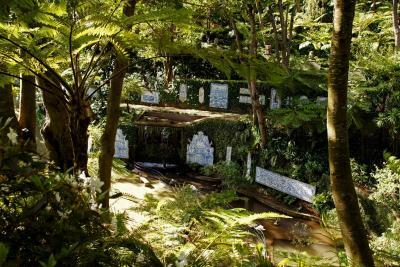 It was right next to the Jardim which is gorgeous. It was next to some hikes and there were cable cars either side of it. We would have liked to stay longer. Very nice, spacious one bedroom apartment. Very clean and well equipped. The staff was very polite and helpful. Breakfast was good and they even made small changes everyday so we didn't have the same thing every day. 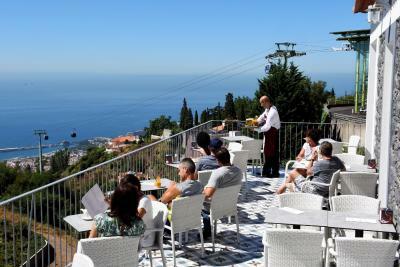 It's really good they have the restaurant and you don't have to drive all the way down to Funchal to get a bite as the hotel is on top of a hill (as is everything in Madeira). What a wonderful surprise! Babosas Village is a marvellous place to stay. And the breakfast was fantastic. 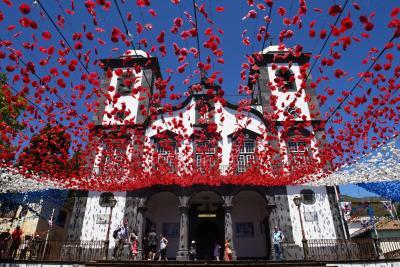 Loved the location, high above Funchal. Apartments very comfortable, modern and clean. Staff were brilliant - very helpful and always smiling. An extensive menu of well cooked food meant that we ate in the restaurant most nights. Hired a car which made exploring the island very easy once we were used to the steep country roads. 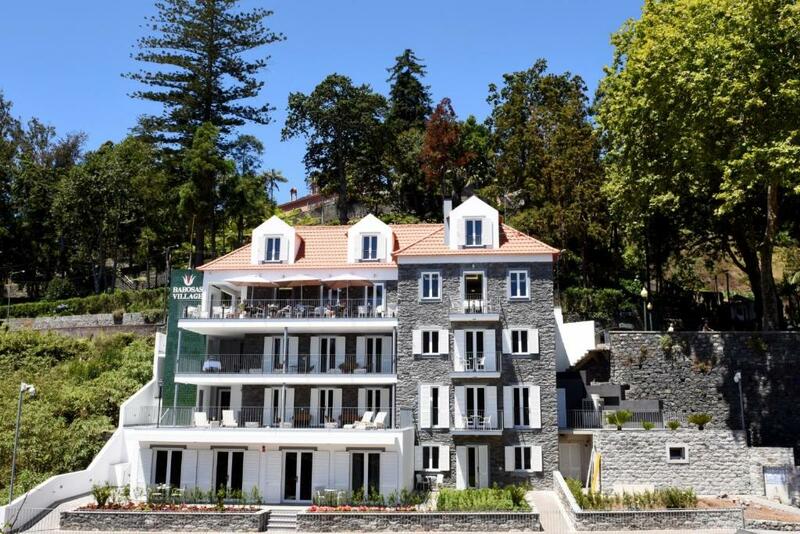 Located amongst the famous gardens of Monte, in the heart of this romantic and lush village in the hills above Funchal, Babosas Village features spacious 1-bedroom apartments, a restaurant, a bar and an attentive staff. 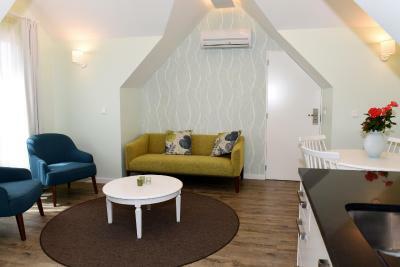 Each apartment offers a living area with a kitchenette and a cable TV, a separate bedroom, a bathroom with shower and a patio (except the Loft Superior Suite). Free WiFi is available. 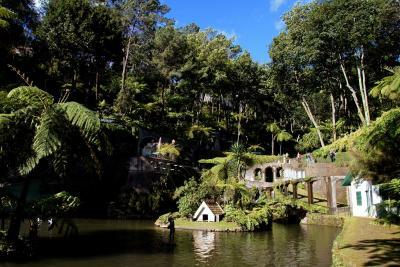 Situated on the quaint and narrow street that leads from the Babosas square past the gardens, the famous church and wicker toboggans to the old square, Babosas Village is perfectly located to visit the Monte gardens, 350 yards away, and the surrounding walks. 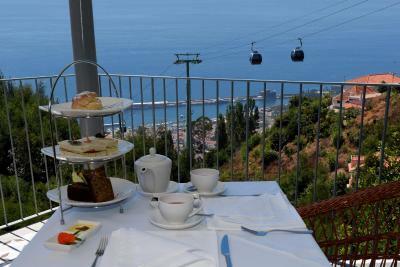 Funchal is 3.7 miles away and is easily accessibly via cable car or public transport. 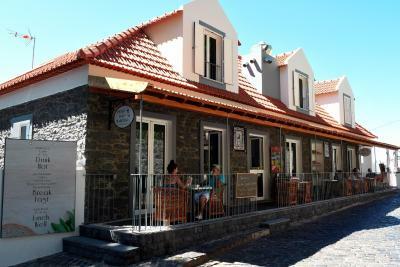 The nearest airport is Madeira Airport, 7.5 miles from the property. 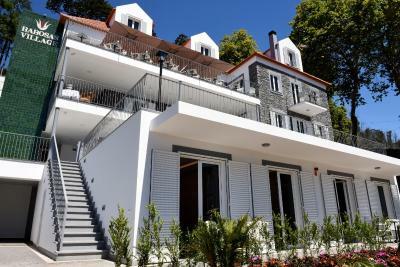 Monte is a great choice for travellers interested in botanical gardens, mountain walks and walking. Babosas Village has been welcoming Booking.com guests since 25 Sept 2017. When would you like to stay at Babosas Village? This suite has a sofa, seating area. Property surroundings – This neighbourhood is a great choice for travellers interested in botanical gardens, mountain walks and walking – Check location Excellent location - show map Guests loved walking around the neighbourhood! House rules Babosas Village takes special requests - add in the next step! Babosas Village accepts these cards and reserves the right to temporarily hold an amount prior to arrival. Please inform Babosas Village in advance of your expected arrival time. You can use the Special Requests box when booking, or contact the property directly with the contact details provided in your confirmation. We were so delighted of the lavish warm welcome we received at this cute place where we were treated like kings, from the first moment we put our suitcases down. Everyone working here spreads a good energy be it Hugo, Andrea, Ricardo or the numerous other staff members, like the friendly lady at the reception desk. It was quite amazing to feel this welcoming atmosphere everyone was showing towards us, including the bottle of Madeira wine and cakes as a welcome present. 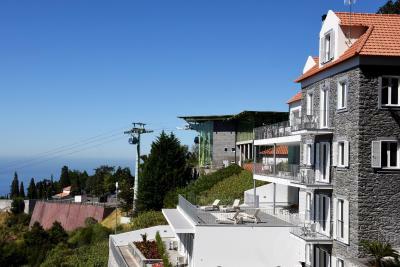 We discovered the location last year when we spent a couple of good evenings around a succulent dinner near the nice fire and this year we had decided to stay at the newly built house overlooking Funchal bay. Quiet at night and even for people with special needs, you can access everywhere as there is an elevator taking you down to the rooms. If I speak about a room, I should rather mention appartment, as this is the correct definition. 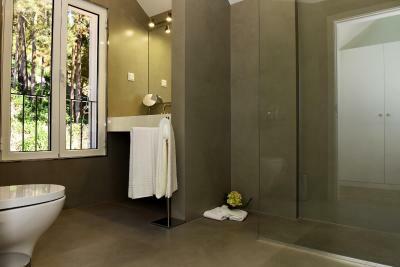 Modern, clean apartment with comfortable bed, living, dressing and bathroom, even a small kitchenette corner and a large covered terrace with garden chairs. You cannot ask for more! 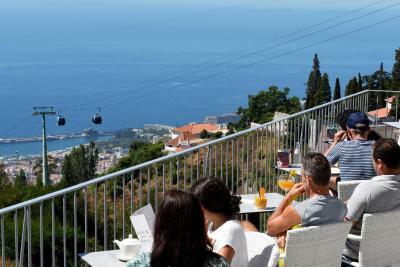 Located 2 minutes walking distance from the cable car which brings you to Funchal Center in 15 minutes. Bus no. 22 operating every 30 minutes stops opposite the restaurant, so no need for a car! At the restaurant they even prepared some chicken the way we asked for it, and every dish was just gorgeous!! Fresh vegetables, fish and meat grilled just the way we loved it. Thanks to all of you for having made our stay an unforgettable one. We hope to come back soon and can strongly recommend your hotel/ restaurant to anyone looking for a secret deal! 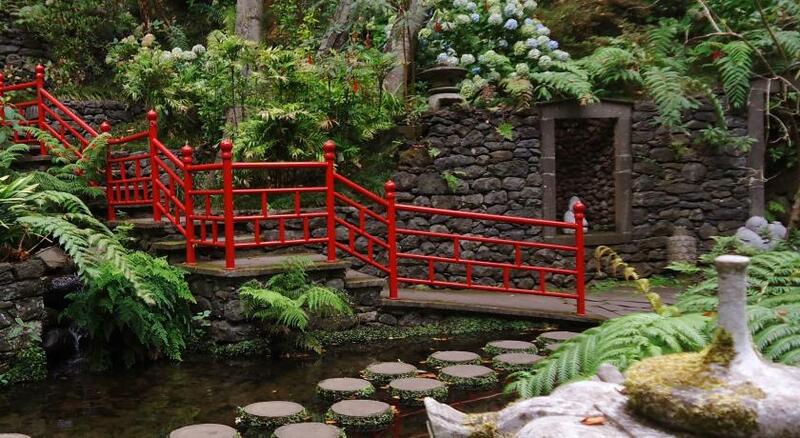 Stay the way you are, you are good embassadors for Madeira Island! While the location was very good in some ways, such as the proximity to two superb gardens and the other attractions of Monte, the lack of nearby food shops made self-catering a bit difficult (we like to cook some of the time). The narrow, busy and very steep streets that have to be negotiated to get there are also not for the faint hearted. 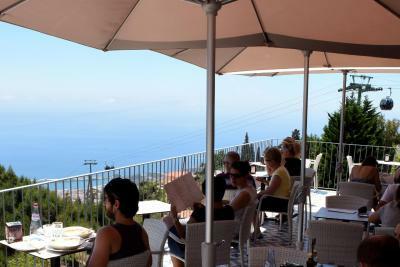 I was surprised at how few restaurants there were in Monte itself. Babosas was pretty much the only choice. If you want a bit more variety you need to go into Funchal. That said, the bus goes from outside the apartment and a taxi back only cost EUR 10. And you have the cable car if you head off before 17.45. If I was being really picky I would say the the lighting in the apartment was a little over the top - felt like you were under a spot light in the bedroom. Simple answer there is to keep the light off! The roads are really windy. 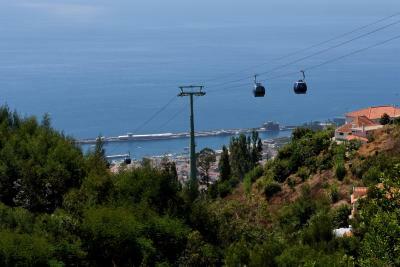 Best to get a cable car up there from Funchal. I was car sick. There was cooking and smoking smell coming in through window. The kitchen equipment a bit sparse. I wouldn't book this apartment without a car. There is a bus stop right outside the hotel and the cable car is very close but it could get tiresome and expensive if you plan to go to the city more than once or twice a day. For us it was pretty perfect. Excellent staff, most comfortable and great stay. Felt like at home! Break fast was very good, served with friendly approach . Good food and wine at A la carte restaurant . We had a great stay and will definitely go back again! Warm welcome, lovely staff, excellent food, comfortable apartment, high standard bedding and towels, complimentary wine and cake on arrival was a nice touch too.